Are "Lexus Lanes" Really Lexus Lanes? The term "Lexus Lanes" seems originated in the mid '90s and became a synonym for all express lane projects. But how accurate is it really? 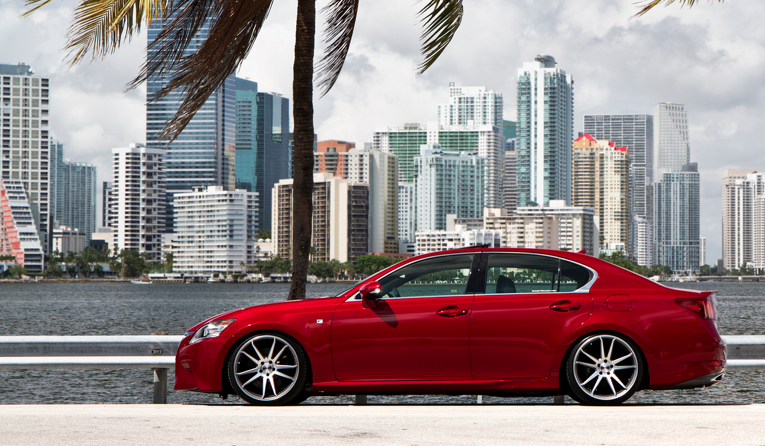 “You don’t see a Lexus every two or three cars," Rick says. He notices the pickup trucks and work vans. "If you're delivering auto parts or you're delivering medical supplies... that's where reliability becomes essential. " The 95 Express project was the first dynamic tolling system in Florida. The special lanes let drivers pay to get out of regular traffic. FDOT keeps the lanes running smoothly by varying the toll. When more drivers pile in, the cost goes up to discourage too many more from cramming in and ruining the flow. To say these lanes are a success, in FDOT’s eyes, is an understatement. Officials point to numbers that show rush hour traffic moving two and three times faster. The lanes were so popular that the original $7 cap couldn’t scare enough drivers away and had to be raised to $10.50. So far, 95 Express has made more than $79 million in toll revenue. Express is the new black. I-595 got express lanes. I-75 is getting them. The Palmetto Expressway, too. Considering its derogatory nature, it shouldn’t be particularly surprising that “Lexus Lanes” is the phrase-which-shall-not-be-uttered within FDOT ranks. Aside from anecdotal car-counting, there aren't real numbers to say who is driving in the 95 express lanes. But researchers at Georgia Tech University recently tested a very literal interpretation of the “Lexus Lanes” nickname by looking at the makes and models of vehicles on their own express lane system on I-85 in Atlanta. Most popular cars Atlanta's I-85 high occupancy toll (HOT) lanes versus general purpose (GP) lanes. Part of a study by Randall Guensler and Sara Khoeini. Credit Randall Guensler and Sara Khoeini. 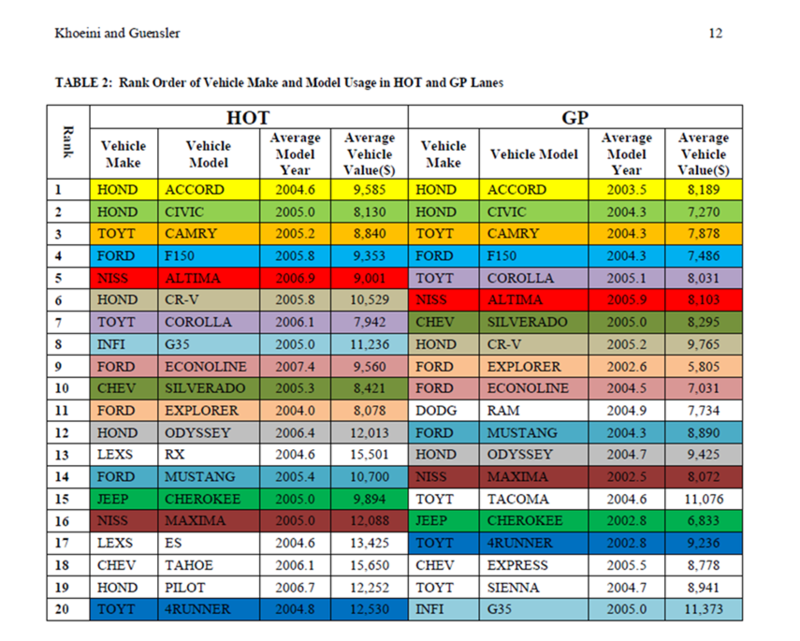 There wasn’t a Lexus to be found in the top 20 most popular cars in the the free lanes. But two Lexus models -- the RX and the ES -- were the 13th and 17th most popular cars in the express lanes. Studies also show that people with higher income are more likely to use express lanes and pay their way out of traffic. But proponents of the system are quick to point to the kinds of Average Joes who benefit from simply having a choice between being stuck in traffic and paying for a reliable route. Poole has been called the godfather of dynamic tolling. He was an early proponent and has helped implement the systems across the country -- including in Miami. While Poole isn’t fond of the “Lexus Lanes” moniker, he isn’t really bothered by it either. He understands it has simply become a synonym for his brainchild. But that’s not to say it hasn’t affected him. The phrase seems to have originated during the mid 1990s, when transponder technology made the idea of a high-speed tolling lane possible. Washington state was considering converting an existing HOV lane near Seattle into an express lane. Stamm is credited with introducing “Lexus Lanes” into the public discourse. While that particular Washington project didn’t take off, Stamm’s phrase did. In the mid-1990's, California was the first state to open a high occupancy tolling system. “In San Diego County, officials will soon open a ‘Lexus lane...’" reads a Los Angeles Times story from September of ’95. “It’s only partly a joke that California toll roads have earned the nickname ‘Lexus Lanes,’” reads a Seattle Times story from a couple years later. Stamm says she’s lost control of the phrase. There are some high-occupancy toll systems she wouldn’t actually call “Lexus Lanes” -- ones that still do a good job encouraging high-occupancy transportation. But even those get slapped with the L-words. Brian Rick, former Florida Department of Transportation spokesman, hates the phrase "Lexus Lanes." While Rick was always good at pointing out the nuts and bolts of why the phrase is misleading -- it’s not all Lexus drivers, lots of working-class people like the lanes, it helps everyone -- he has a much deeper-seated hatred of the phrase. “When I was a young writer, in my teen years, I loved alliteration,” says Rick, a novelist trapped in a spokesman’s office. Rick says he wrote a novel as a 12-year-old. Simply put: Brian Rick hates “Lexus Lanes” because he hates alliteration. To him, it’s just crappy writing. Reminds him of the writing of a 12-year-old. The maximum possible toll on 95 Express increased from $7 to $10.50 on March 1. Two days later at 5:30 p.m., the cost of using the northbound express lanes hit the $10.50 maximum. Rory Santana from the Florida Department of Transportation says a truck jack-knifed and backed up the highway, so people flooded 95 Express and drove the price into the ceiling. Since March 1 the cost of a ride in the fast lane has hit $10.50 at least 13 times. Nine of those cases occurred on the northbound express lanes, seven of which happened between 5:00 p.m. and 7:00 p.m.